Alex Appliance technicians are no strangers to LG appliances. Not because they need repairs all the time, they are just a really popular choice amongst consumers. Alex technicians all carry ample amounts of LG replacement parts in their vans so they can potentially repair your LG appliance the same day. There is always an Alex technician in your area! Call us today for same day service! LG is of the most innovative fridge manufacturers in the market. LG engineers are constantly looking how to improve everyone’s fridge experience, lowering energy consumption, and increasing the lifespan of the food in the fridge. LG makes a large variety of fridges including top freezer, bottom freezer, french doors and side my side. There are several options consumers can choose within those styles. If your LG fridge is ever in need of a repair, call a technician you can trust. 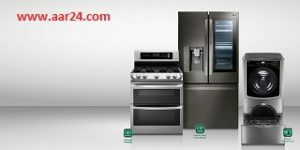 Alex Appliances is available 24/7 for same day service. LG dishwashers are one of the highest rated dishwashers on the market according to customer satisfaction and ratings. LG has designed their dishwashers to be one of the quietest in the market. Furthermore, LG designs their dishwasher to hold more dishes and utensils than the average dishwasher, allowing you to clean more at once, and doing fewer washes, which will save you energy. Alex technicians are available for when you need them in case your LG dishwasher ever lets you down. LG stoves and cooktops are amazing appliances to work with and cook meals on. LG gives you so many choices and options to pick from when you purchase your cooktop. They are available in gas, electric or ceramic cooktops. No matter which one you choose you are definitely in for a unique experience. If your LG cooktop or stove is ever in need of a repair or service, call the experts at Alex appliances for same day service. LG oven and ranges are beautifully designed and come loaded with tons of innovative features. LG manufactures their ovens in many different styles, giving the consumers a choice of a built in oven, or a standalone unit; gas or electric; or even a choice of a dual oven. LG also designs their ovens to be highly energy efficient! Alex technicians are very experienced when it comes to LG ovens, so if you are ever looking for a same day repair, there is always a Alex van in your area! LG has developed some very innovative washing machines over the years. Their washers are constantly one of the most, if not, the most energy efficient washer in its class. LG has also designed some front loading washers with such an immense capacity allowing consumers to clean more clothes at once than ever before. If your LG washer has ever stopped working. Don’t hesitate to call the experts at Alex Appliances for same day service. LG dryers are just as innovative as their washing machines. LG designs their dryers to either stand beside, or on top of their washer. They even have a few models of washer/dryer combo units. LG dryers are also designed to be able to dry a large amount of clothing in a relatively short amount of time, thus allowing you to save on your energy bill as well. If your LG dryer is ever in need of a repair or some maintenance, call Alex Appliances 24/7 and ask about our same day service! If you live in the Greater Toronto Area, Quick Fix appliance repair technicians are always in the neighbourhood. 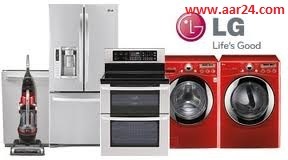 With 24/7, same day LG appliance repair services we will arrive on site soon after you call and get right to fixing your LG appliance using our well-stocked service vans full of the most common LG repair parts.